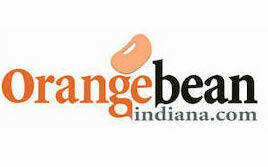 Did you know there’s a place in Indiana where you can bathe an elephant, pet a giraffe and pal around with a kangaroo? Wilstem Farm in Paoli, Indiana, provides ample opportunities to encounter your favorite animal in a fun, family-friendly environment. Wilstem Farm got its start in 1915 when the property was purchased by Ed Ballard. He used it as a hideaway for wealthy visitors looking for a private vacation spot. Ballard was a horse showman and owner of the Hagenbeck-Wallace Circus. In its day, this circus was one of the largest traveling circuses in the country, competing head to head with Barnum & Bailey and Ringling Brothers. Ballard was also a co-owner of the famed West Baden Springs Hotel in nearby French Lick. The property changed hands a few times after Ballard’s death in 1936. Subsequent owners lacked a clear vision for the 1,100-acre farm. It fell into disrepair. Finally, in 1989, Jerry Fuhs purchased the property with the plan to use it is a tourist destination. Fuhs restored the farm’s original buildings and trails, stocked ponds with fish, and added modern amenities to guest quarters. Today, Fuhs’ vision has expanded to include ATV tours, a 9-line zipline course, horseback riding, and exotic animal encounters. Elephants debuted at the farm in 2015 for a 3-month trial. Makia, Lou, and Lovie quickly endeared themselves to visitors. A permanent animal encounter featuring these beloved elephants opened in 2016. A morning encounter option includes a chance to feed breakfast to the resident elephants. The spa elephant encounter gives guests the opportunity to help caretakers bathe and rinse the animals. More adventurous tourists are invited to even paint an elephant’s toenails. Educational tours are available for all animal species residing at the farm. Elephants are the most popular ambassadors, but the giraffe, grizzly bear, and kangaroo (and friends) encounters are also great fun. Wilstem’s Grizzly Bear Adventure is led by famed bear expert Jeff Watson. He, along with resident bears Bob and Screech, have been featured on Animal Planet and the Discovery Channel. ‘Roos & Crews is the most recently developed encounter exhibit. Here, visitors learn about a variety of small animals. A parakeet aviary featuring hundreds of parakeets leaves a memorable impression. Kangaroos mill around with guests in a designated adventure habitat. A resident iguana has proved to be very popular. And these are just a few of the novel experiences guests will encounter at Wilstem Farm. Visitors planning to stay overnight at Wilstem Farms can choose from relaxing cabins and houses designed to accommodate 1 to 23 people. There’s no roughing it for lodgers here. All housing includes modern amenities. Wilstem Farm is a unique chance to experience wild animals up close and personal without going far from home. Nestled in the heart of picturesque southern Indiana, it’s an adventure that visitors are unlikely to forget.